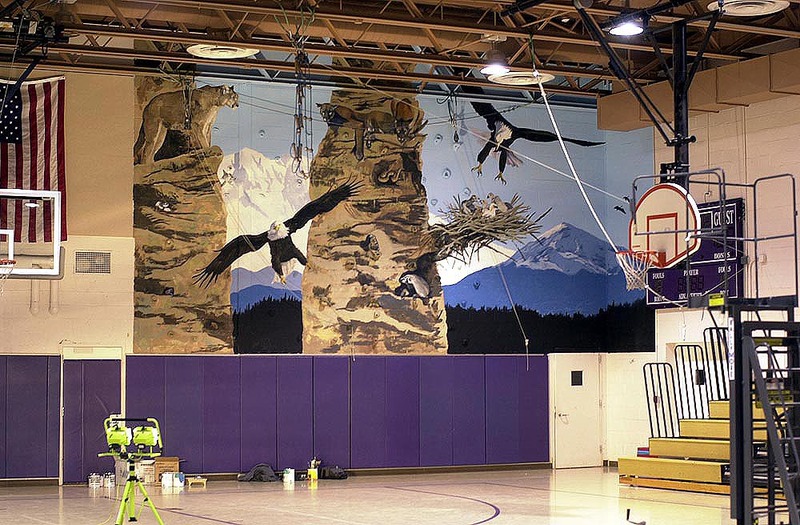 With this mural the Bigger Picture transformed a cinderblock climbing wall into a real mountain climbing adventure. Complete with lizards, snakes, geckos, eaglets (painted by my daughter Tilli), and ants. My son wanted some ants on this wall that is 28' high so I hid 10 of them for the students to find as they avoid snake bites and becoming lunch for a mountain lion. For close-ups please click here .